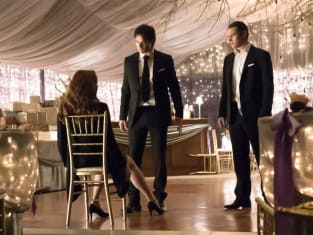 The Vampire Diaries Season 8 Episode 15: "We're Planning a June Wedding"
We’ve all made terrible mistakes in our lives, done things that no apology can heal, but you just have to keep going, trying to find some new happiness — no matter how much you’ve lost. The strange thing is, losing those people is what brought us together. It’s how we found each other. It’s what made us family.